On 11 March 2019 the texts of two new important documents one agreed between the UK and the EU (“the Joint Instrument or JI”) and the other a Declaration by HMG (“the Unilateral Declaration or UD”). Both relate to the Withdrawal Agreement and the Irish Protocol (“WA” and “Protocol”). Since their publication there has been widespread debate as to whether they have affected the legal position of the so-called “Backstop” provisions in the Protocol. The Attorney-General promptly prepared an Opinion Letter for the Prime Minister on the effect of these two documents. Many other commentators have given views on the effect of the JI and UD, notably the very eminent (pro-“Remain”) public international lawyers Professor Philippe Sands QC and Professor Sir David Edwards QC (who is a former judge of the ECJ) and Professor Guglielmo Verdirame, Sir Stephen Laws and Professor Richard Ekins (who are pro-“Leave” but now favour accepting the WA). The Speaker’s recent ruling on no further votes on the Withdrawal Agreement may mean that the Withdrawal Agreement, Political Declaration, the two March 11 documents and the Attorney General’s opinion are all now irrelevant. We cannot be sure about this however and the WA could be presented to parliament again. It thus remains important to be clear about the legal position. (7) unless the UK could satisfy the arbitral tribunal which would be set up under the WA that the EU had been guilty of a want of good faith, or of a failure to use best endeavours or that it had acted with the objective of applying the Protocol indefinitely, “there is no internationally lawful means of exiting the Protocol’s arrangements, save by agreement”. Professor Sands and Professor Sir David Edwards conclude that the JI and the UD do nothing to change the conclusion of the Attorney-General’s November 2018 Opinion. They believe that the JI does not add any new material obligations beyond a commitment to “best endeavours” and “good faith”. They make the very important point (with the benefit of much personal experience sitting on international arbitral panels) that “it would be exceptionally difficult to establish, to the satisfaction of such a panel, that the EU was acting in bad faith or with the objective of applying the Protocol indefinitely” as opposed to the legitimate objective of protecting the Customs Union. “good faith” in public international law is not the same as in English or other domestic laws. That is true. The obligation to act in “good faith” in the context of the WA, taken with the JI, means that both parties have to be both reasonable and must not abuse their power to subvert the purpose of the WA as interpreted by the JI. Thus “mere invocation by the EU of an objective different from the (expressly impermissible) objective of indefinite application of the Protocol e.g. the protection of its Customs Union, would certainly not suffice on its own for purposes of establishing compliance by the EU with its [good faith and best endeavours] obligations. The view of some commentators (including Sands and Edwards) that establishing a breach of the good faith/best endeavours obligations is “not credible” is wrong although it all depends on the facts and of course has to be adjudicated upon by the arbitral tribunal set up under the WA. It is important to note that the “best endeavours” obligation in Art 2(1) of the Protocol relates not just to the obligations of both parties to negotiate but also to the obligation towards a specific end result, viz. to conclude an agreement which supersedes the Protocol by 31 December 2020. 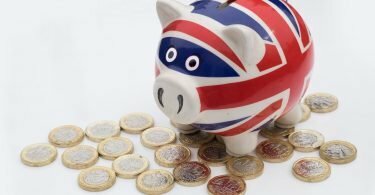 Thus unreasonable delays by the EU, or negotiating in a manner that does not take account of the objectives of the UK (in particular the objective to leave the Single Market and the Customs Union) would be a breach of the principle of good faith; but so too would UK negotiations that did not take account of the EU’s principles, in particular the integrity of its Single Market, Customs Union and the indivisibility of the “four freedoms”. There is a theoretical argument that if both parties concluded that no solution was possible then the UK could try and invoke Art 62 of the VCLT, (fundamental change of circumstances) but in reality both sides will insist that solutions do exist, but cannot be attained because each side is maintaining a reasonable insistence on its own principles – as set out in (6) above. 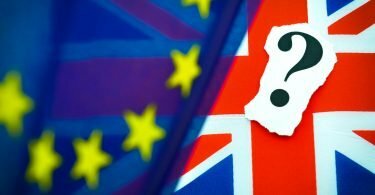 In the light of the express terms of the WA, Protocol and JI taken together it would be illegitimate for the EU to adopt a negotiating stance that only a “backstop 2” could replace the current terms in the Protocol, so that the risk of the backstop being used as leverage in the next stage of EU-UK negotiations in order to lock the UK into an indefinite backstop has significantly receded. Thus, the Macron idea (or that in the Weyand Memo of Nov 2018) that the UK would have to “pay a price” to leave the backstop is inconsistent with the EU’s obligations as clarified in the JI. The importance of the GFA has been underestimated. A permanent backstop could undermine the GFA and any action by the EU that threatened this would be inconsistent with their best endeavours and good faith obligations. In particular if the Stormont Assembly were to state clearly that the backstop had become permanent by default and that this was incompatible with the continuing consent of the people of N Ireland then that could give rise to an Art 62 argument (fundamental change of circumstances). As noted there have been other commentaries which have argued these points but not introduced new ones. (1) As the Attorney-General has stated, the JI has clarified and strengthened the “best endeavours” and “good faith” obligations that were already present in the WA and the Protocol. The JI has added to the obligations of both sides. (2) the parties have to negotiate and have to use best endeavours and good faith to “get a result”, i.e. a replacement to the backstop, which should not be “replicated” in the replacement arrangements. (3) The EU cannot filibuster, cannot attempt to negotiate in order to make the backstop permanent, and must recognise the legitimate aims of the UK, viz to leave the Customs Union and the Single Market. Those are aims of the UK a whole, including Northern Ireland. (4) the GFA is fundamental to why there is a backstop in the first place. Anything that undermines that or that is an agreement which does not have “the consent of the people of Northern Ireland” must therefore be incompatible with the aims of the WA and Protocol in particular. (5) However, any allegations of a lack of good faith or a failure to used best endeavours would have to be proved before an international arbitral tribunal set up under the WA, before the UK could do anything about “suspending” or abrogating the Protocol. International arbitral tribunals move carefully and any dispute would not be resolved by a quick decision. It could take months or years. Moreover, international arbitral tribunals are (to say the least) slow to find states have failed to exercise “good faith” or failed to use “best endeavours” in the international law sense. Both the EU and the UK are bound to be strongly advised to take care in negotiations so as not to fall on the wrong side of the line. (6) Therefore, the JI has strengthened the UK’s hand. The risk of being caught indefinitely in the backstop may have receded. But it has probably done so more significantly in political terms than in strictly legal terms. (7) MP s who are voting on whether to accept the WA should probably look at the political dimension in the light of this analysis of the JI (and the UD) and not just the bald legal analysis. In the political dimension, there are two further sources of uncertainty. First, there is domestic political uncertainty. 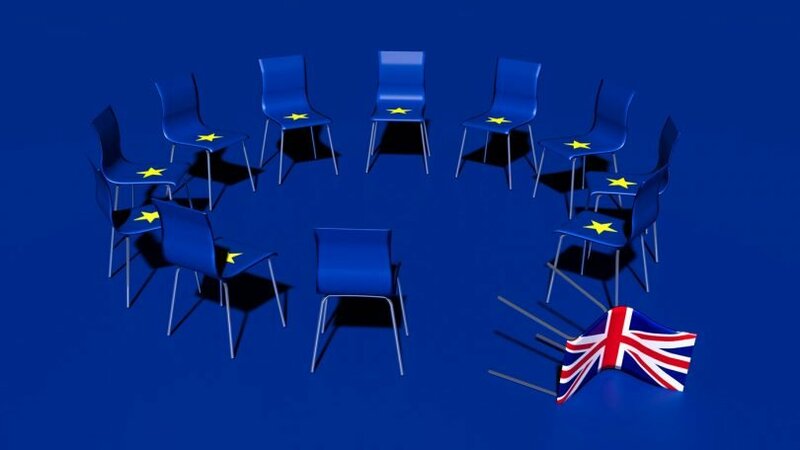 We cannot know who will be in government, nor who will conduct future negotiations with the EU. We cannot know what that government’s aims will be or with what resolve they will conduct those negotiations. Nor can we judge whether a public, or even a parliamentary, desire to see an end to the whole “Brexit business” will tend towards public acquiescence, however unsatisfactory the WA or any future trade deal. Secondly, there is international political uncertainty. We cannot foretell who on the EU side will be conducting future negotiations, or what their intentions will be once Britain has placed itself at what many would regard as a severe negotiating disadvantage by accepting the existing WA. The interpretation of the legal instruments and their effect in certain factual circumstances is difficult enough. But it is only one element (and perhaps not the most important one) in the overall judgment which MP s will have to make.